If you are planning your wedding on your own without the help from a professional wedding planner here are some helpful tips for getting the rentals you need and getting a price you can afford. 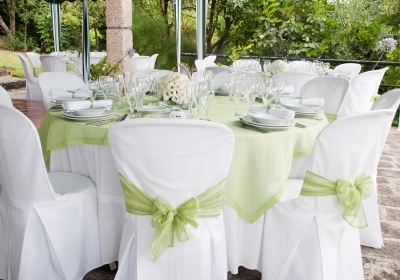 Once you’ve got your guest list finalized and your ceremony and reception site decided you might find that you need to rent extra chairs, tent or decor. Ask your ceremony or reception hall for a list of companies they have worked with and would recommend. Remember that your guests are going to remember the fashions, food and dance. Everything else is icing on the cake, so unless you have the budget to go into finite detail, you can pull off a fabulous wedding without too many extras on your big day. 1) Decide if the rental is necessary. If it is, begin calling all local rental shops to inquire about price, quantity and availability. 2) Write down all the information each business gives you, and pick out your top three choices. You should base this choice on recommendation, price, and quality of decor. 3) Compare prices and don’t be afraid to call your number one choice and ask for a preferred rate offered by the competition. If you follow these steps you’ll stay within your budget and get precisely what you need for your wedding day without paying a fortune for it. Recommendations from other businesses are key, this way you know that the rental company you hire is reputable, reliable, and professional. That is what you want on your wedding day, professional and reliable.